welcome to virtualcloudblog.com and thanks for checking it out. Today, it’s time to NSX, and I’ll try to explain how to deploy a NSX Edge (high availability enabled) with source NAT (SNAT) and destination NAT (DNAT). 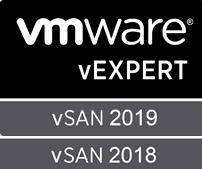 Let me add some NSX basic knowledge to keep everybody in sync. 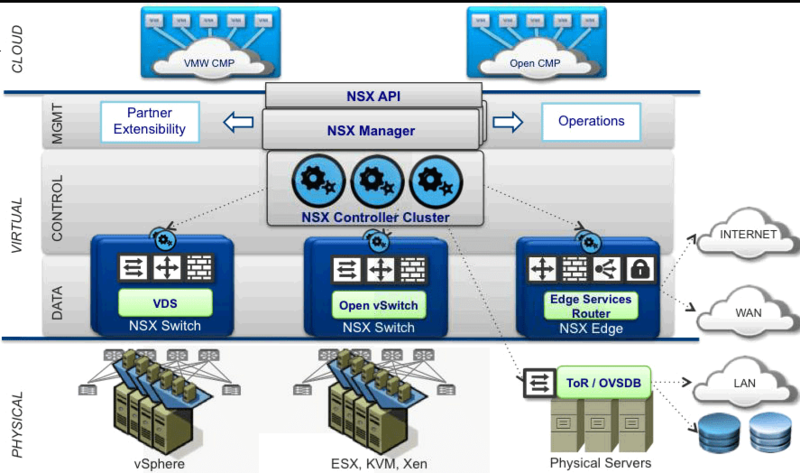 NSX is a VMware Network Virtualization and Security Platform. NSX delivers a completely new operational model for networking that forms the foundation of the Software-Defined Data Center (SDDC). 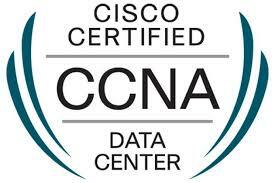 All network components can be provisioned in minutes, without the need to modify the application. Micro-segmentation and granular security are delivered to the individual workload. 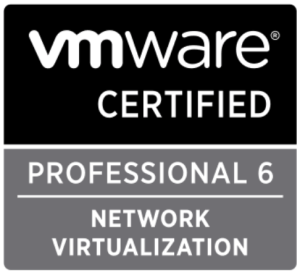 Network administrators gain the capability to control the network using vCenter-like policy—VMware calls this approach software-defined networking. From a computer science perspective, it’s the abstraction of network control and services from physical hardware. Functions such as routing, load balancers, intrusion protection, and security exist as services within the hypervisor; as such, network admins configure and manage the virtual network from a single NSX control panel and API. 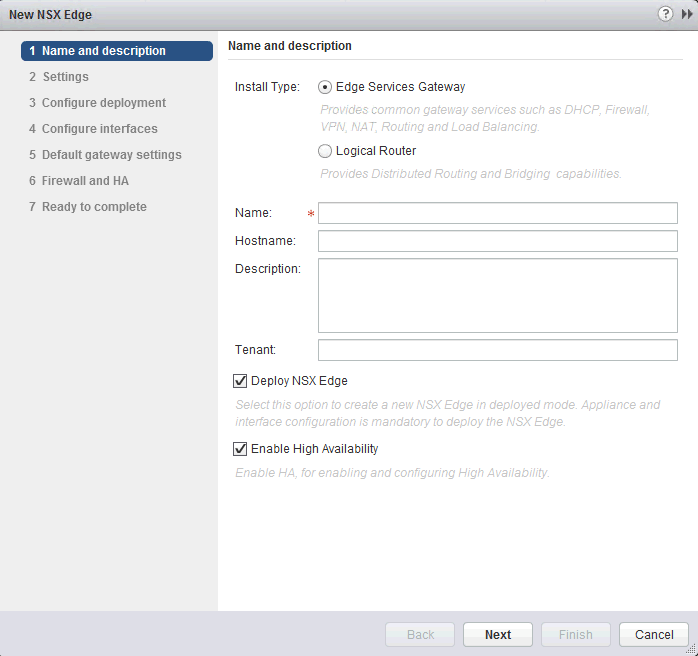 What is a a NSX Edge? and DLR? Edge Services Gateway, providing access to the physical network (north-south traffic), followed by a Distributed Logical Router, which will provide connectivity for virtual machines using different logical switches (east-west traffic). The DLR will connect to the ESG to provide external routing using a transit logical switch. 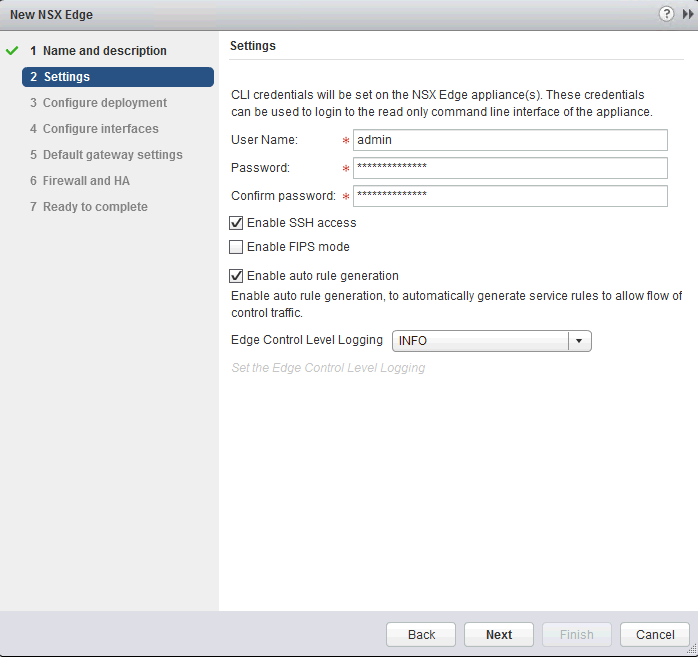 NSX Edge Provides services such as Firewall, NAT, DHCP, VPN, Load Balancer and HA. 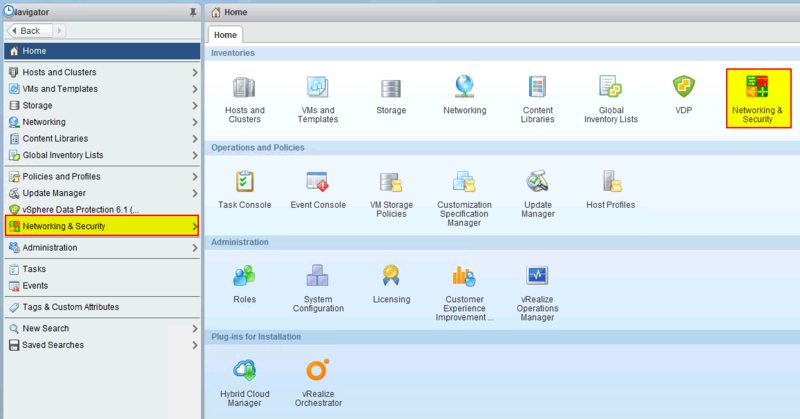 Login into the vSphere Web Client and go to “Networking & Security“. 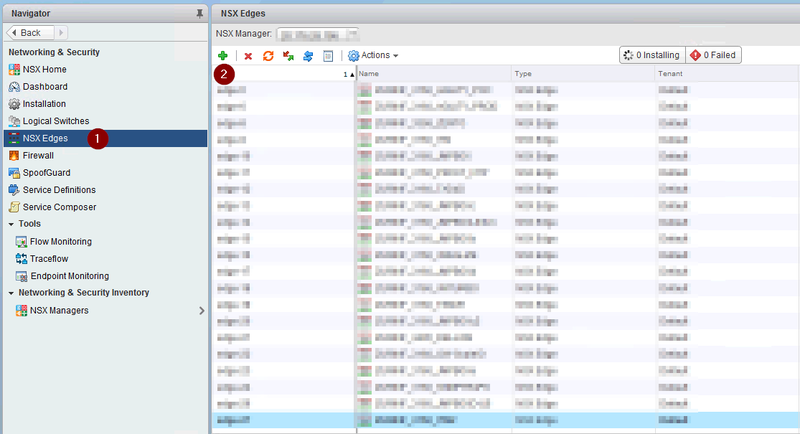 Then, click “NSX Edge” (1) and then click the green cross (2), as shown in the following screenshot. Configure the local admin password (minimum 12 characters plus the usual requirements), it may also be worthwhile enabling SSH for future troubleshooting purposes. Note the logging level is INFO and FIPS disabled (FIPS = any secure communication to or from the NSX Edge uses cryptographic algorithms or protocols that are allowed by United States Federal Information Processing Standards. FIPS mode turns on the cipher suites that comply with FIPS), and click Next. 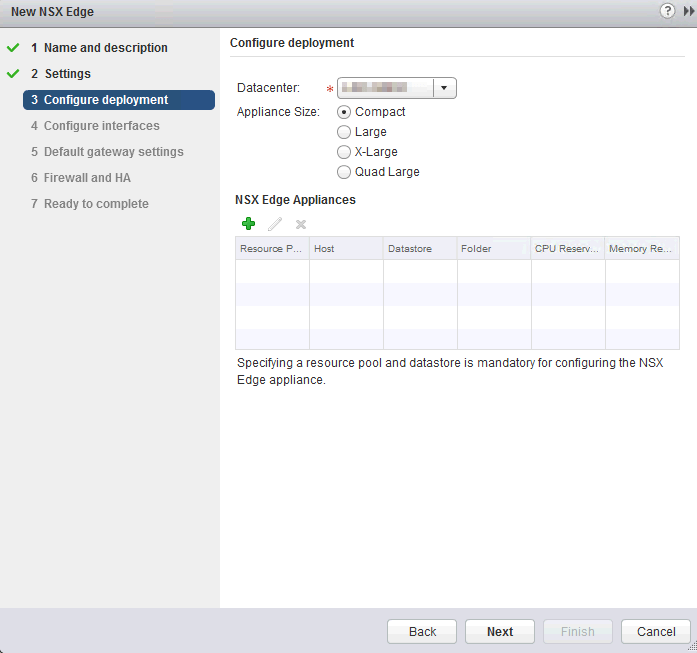 Configure deployment, Select the DataCenter and the Edge size. In this case, compact is more than enought. Below the Edge sizes. This Edge needs 2 Interfaces, one “internal” and one “pplink” (or external), because it will be used for NAT (SNAT and DNAT). 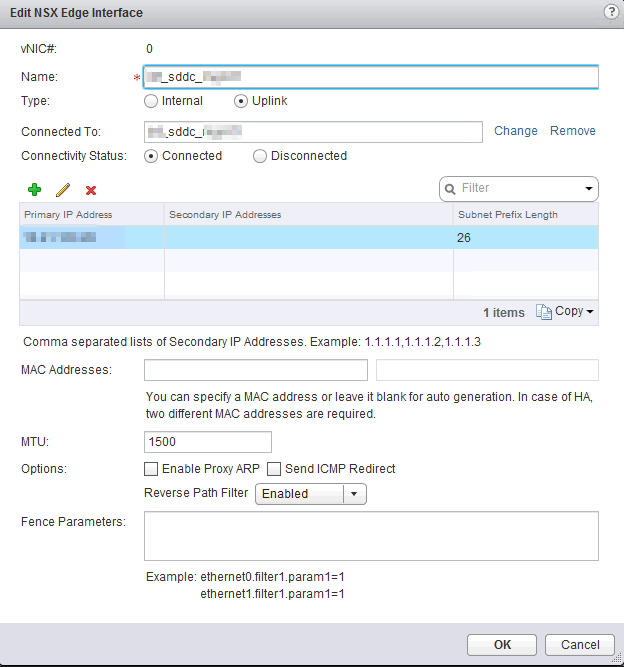 Internal Interface: Enter name, click internal, and “connected to” it should be connected to an internal network “inside” NSX. 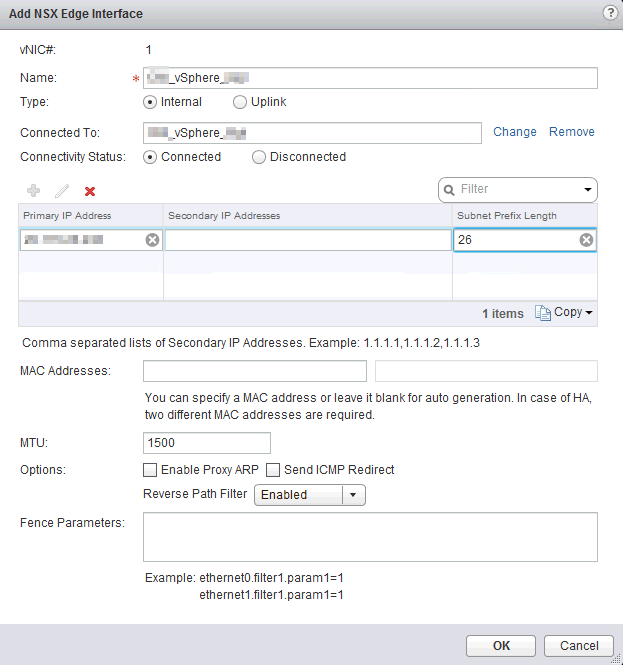 Also enter a valid IP within the internal nework and mask. Rest options by default unless your MTU is not 1500.